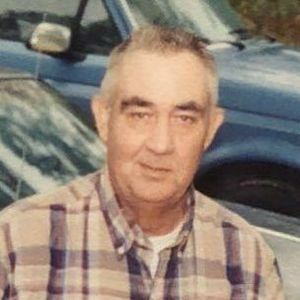 Obituary for Willis James Lambert, Jr.
Willis James Lambert, Jr., 77, of Bladenboro, passed away on Saturday, December 15, 2018. He was preceded in death by his parents: Willis James Lambert, Sr. and Ethel Pearl Lambert; wife: Katie Rose Lambert; four brothers: Ralph Lambert, James Thurmond Lambert, Kenneth Lee Lambert, Steve Penty Lambert; two sisters: Myrtle Louise Jenkins and Carolyn Jean Cerisano. Willis is survived by two sisters: Christine Genois Brown of Balm, Florida, Linda Cain of Elizabethtown; two step-sons: Delbert Edwards (Debbie) of Lumberton, James Edwards of Bladenboro; three grandchildren: James Edwards, Jr., Kayse Edwards, and Derek Edwards of Bladenboro; and one great grandchild: Tyler Rowland. A graveside service will be held on Friday, December 21st at 2 pm in the Lewis Cemetery in Bladenboro with Rev. Kip Nance officiating service. Add your thoughts, prayers or a condolence to Willis' guestbook.